Spring! Yes, it is finally here! The sun, the windows open, the walks, the colors, grilling, the birds singing, plating flowers, gardens, and much more. I love it! Winter has worn out its welcome, and I am so excited to get started on all my spring projects. But first thing is first. 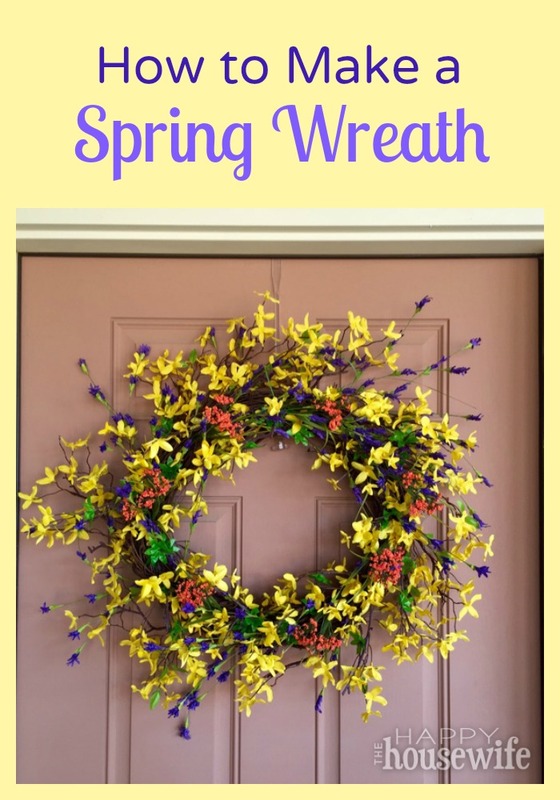 I had to switch out my front door winter wreath and replace it with a bright colorful Spring one. 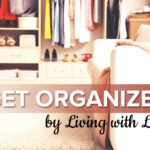 It is the first impression of your house, you know?! I wanted it to look natural and colorful, so I went to the craft store and started putting some foliage together. This is what I came up with, and I love it on my front door! 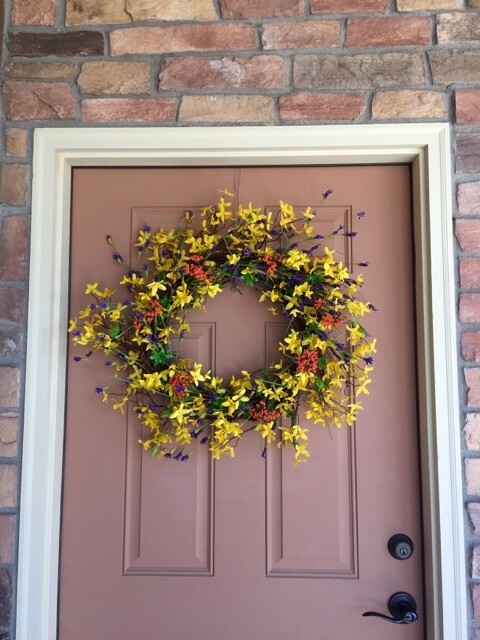 So, do you want to add some “happy” to your front door?! First, a shopping lesson. I went to Hobby Lobby and bought a 18 inch grapevine wreath. I then went over to the flower foliage to pick out my flowers and could not believe the price! Hobby Lobby usually has great sales, but this was not the day for foliage. I should have looked before I went, but you know how that works! But hey, at least I could use my 40% off everyday coupon to Hobby Lobby for the grapevine wreath. I then drove over to Michaels in hopes of a better foliage price, and JACKPOT! All the foliage was 50% off! I was one happy girl and ready to start putting my flowers together. Okay, now that my therapy session is over, lets get down to making that wreath! Foliage. Yellow was my main color, so I got 7 branches of that and then 4 bunches of purple and 3 of orange. Tip: Always buy a little more than you think you need. You can always take it back if you don’t use it, and you can always keep it for another craft. First, be aware that the grapevine wreath can get messy from little pieces breaking off. 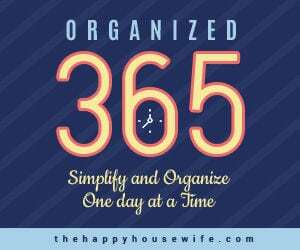 Just something to think about when you are setting up. 1. 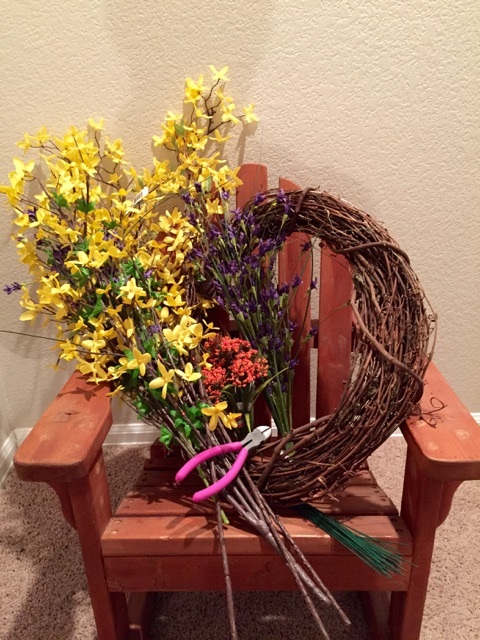 Lay your wreath on the table and start cutting some stems off the yellow flowers to place in your grapevine. I wanted a natural look, so I made them a little long to give a wispy appearance. Then fit the bottom of the stem into the grapevine. Make sure to weave it around in there or use floral wire to hold it into place. Note: Even though I wanted a natural look, I had to flow to the wreath. 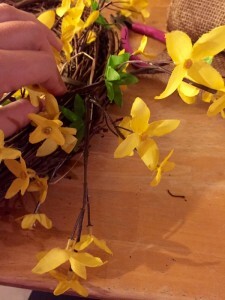 I placed the yellow flowers in the wreath with some consistency, flowing in a clockwise pattern. 2. Get most of the yellow flowers in and then add the purple flowers. Keep a consistency with these as well, and somewhat intertwine them with the yellow to give it a natural look. My purple bunches had some long green grasses in them. So I cut those off separate and added them in individually. 3. Do the same with the orange flowers. 4. Go back over the wreath and add in the remaining yellow flowers. 5. Pick and play with it to get it how you want and hang it on your door. And if you are like me, you will pick and play with it some more to get it just perfect! So, since you know I am pretty excited about spring, I wanted to share with you how I switched out my Christmas Greenery from my DIY stocking mantle I posted about in December, to a fun accent piece on my wall with spring flowers in it. I get to keep it out all year!